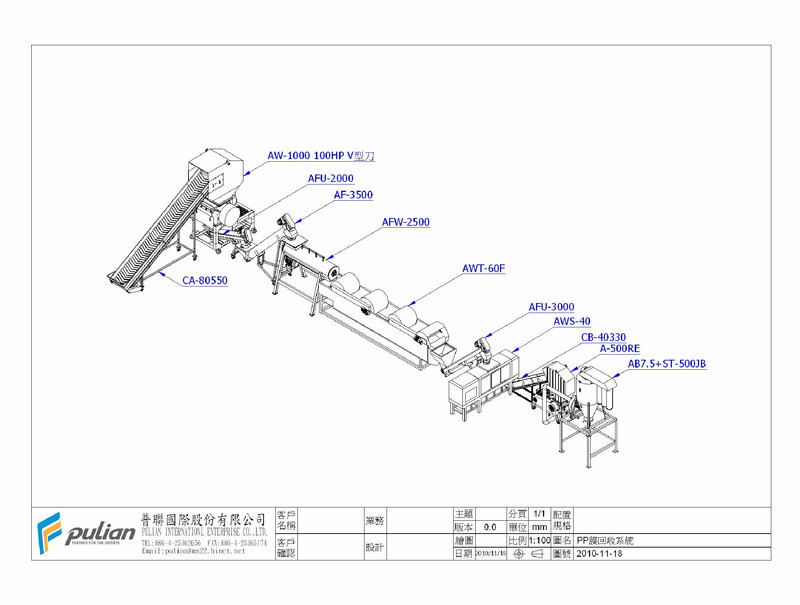 PP FILM recycling system is specialize equipemtn for film, to feed film on the conveyor by manual, deliver to wet-type crusher, to crush and washing together, the film will be grinding approx.50mm, to delivery film into twisting material washing tank by screw then into floating washing tank to separate by density. Then transfer them into squeeze spin dryer to reduce moisture content approx.8%~15%. Then into second crusher to grind the material from 50mm to 10mm and transfer them into jumbo bags by blower and storage tank. This system advantage is to crush and granulator to reduce the film material be leak out.